Michael Farias chose Nissan for his fleet of emergency plumbing vans. Five years ago, if you’d wanted a cargo van for your business, you’d have had four choices: Ford’s long-in-the-tooth E-Series, Chevrolet’s ancient Express, Dodge’s Ram converted minivan or the pricier Mercedes-Benz Sprinter. The domestics were built on top of a heavy pickup-truck chassis with old engine technology that guzzled gas, and their interiors were noted for their cramped cockpits and narrow cargo bays. For employees trying to find parts, make deliveries and keep cargo organized, these old vans were painful compromises. Meanwhile, manufacturers poured money and research into the engines, cabs and capabilities of full-size pickup trucks—and sold the hell out of them to millions of businesses. But today there are dozens of van options, if you count all the possible configurations among Nissan’s NV, Ford’s Transit and Mercedes’ revamped (and now less expensive) Sprinter, plus two new Ram ProMasters. It’s no wonder that commercial van sales are up, with the smaller city vans leading the way—their sales have increased nearly 50 percent in the past year. What’s the attraction of vans? They offer a wide range of options for interior customization; modern diesel and gas engines, which deliver more power with better fuel economy; and a slew of sizes, from car-size wheelbases for easy city driving to models with more than 500 cubic feet of cargo volume and 5,000 pounds of payload. There’s another incentive as well: better lease deals (see “Pay as you go,” page 66) and superior warranties. For example, Nissan’s commercial arm offers a five-year/100,000-mile warranty on its leased vehicles. Plumbing Doctor gear at the ready for house calls. He put his logo on the ambulances and kept the emergency lights. That branding-by-dint-of-thrift became the company’s signature, and the business has since grown to 40 employees servicing three states. The switch to NV2500s, which Farias vinyl-wrapped with graphics that mimic the ambulance look, enables his employees to stand up inside the trucks, “and it’s so much easier to configure every single one exactly the same,” he says. What’s more, having only one model allows for better inventory management. “With our ambulances of different shapes and sizes, guys would get so frustrated trying to find what they were looking for,” he explains. 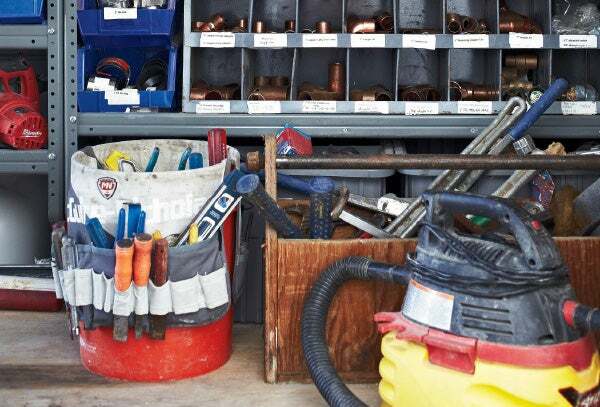 The NV2500 vans come from the factory with a customizable bin-and-rack system, so Farias’ technicians can see where everything is and easily return tools and parts after each job. This means they can more readily scan the bar code of every part they use, automatically generating an inventory order so the vans can be restocked immediately. Joe Scerbo of Gentec Services upgraded to new vans for a professional image and better mileage. 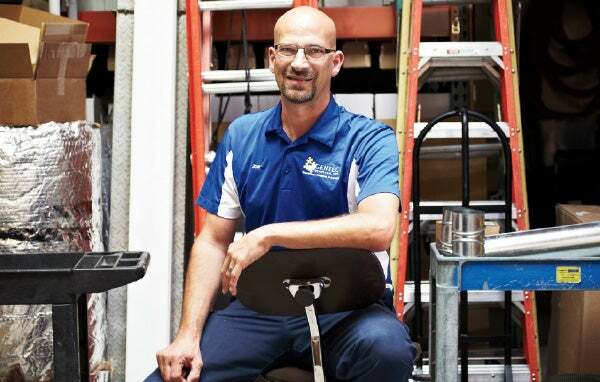 Joe Scerbo, owner of Livermore, Calif.-based Gentec Services, a commercial and residential HVAC and electrical support company, has also turned to upgraded vans, but he has a mixed fleet. “We needed to get into the new vans a few years ago, because they get better mileage than the old Ford and GMC vans we were using,” he says. Like Farias, Scerbo cites the ability to design all the vans to be the same inside as a massive benefit that he recognized only after the fact. But he advises anyone considering a small van to be aware of payload constraints and the weights they’ll need to haul. “You’re not going to save fuel if you overweight them, and they don’t handle well if you really overload them,” he says. However, he adds, vans offer better peace of mind, because no matter where employees drive them—for delivery, service or sales—cargo locked up in a van is far more secure than it would be in the bed of a pickup.